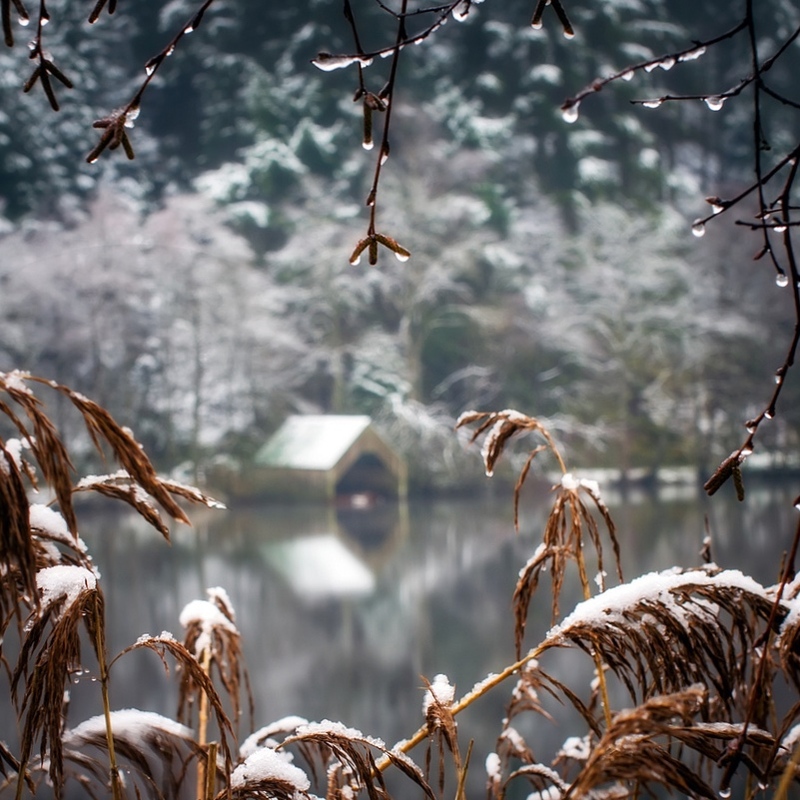 Described as one of the most photographed lochs in Scotland, Loch Ard belies it size and provides the photographer a multitude of scenes, opportunities and pleasure in all four seasons. This is a photographic journey down the loch from the roadside on the north side, from the first small loch just past the conservation village of Milton, to the wider expanse of views eastward from the other end of this beautiful loch at Kinlochard. Because of the east-west alignment of Loch Ard, it is a particularly good loch for early morning and evening light, this, coupled with its ability to hold onto mist longer than most other locations, makes for excellent photo opportunities, for a longer period. There are adequate vistas and locations to fill a full days shooting, and as long as you are prepared to walk a little, parking should not be a problem. Hopefully this guide will help you plan your day and give you a taste of what is possible in this relatively small area. This small part of the loch is popular with photographers due, I feel, to its ability to hold on to early morning mist longer than most surrounding areas, as it is a valley and closely penned in by the trees on either side, that, and the very picturesque jetty and boathouse, this is the first stop for most snappers on there journey up the loch... parking is scarce, and as this area can get busy at times, I would suggest parking in the car park at the forest park area (see map) and walk the few hundred yards across the river to this spot. Moving along the road towards Kinlochard, the next section of the loch is joined by a small channel inaccessible from the road side of the loch, and again limited parking on the verge is usually first come, first served... This is a slightly larger bay, with a collection of boathouses and a boat jetty. ..again very widely photographed and readily accessible, commanding views down the loch, west towards Ben Lomond, this area is particularly beautiful in Autumn when the trees are in full colour and the rising sun providing spectacular cloud colour options. This part of the loch also benefits from the lingering mist and calm waters because of the surrounding forest. Another strange attraction from this part of the loch is metal cross in the water of the bay...I had always thought that this cross had some memorial or religious significance... but recently have realised that it is possibly just to mark where a rock cuts the surface in low water and cannot be seen in high water by the many canoeists and water users... I think I like the mystique of the first thoughts. Affectionately known as ‘the gap’, well… by myself and a few other veteran, location dependant photographers, the light through the mist at this part of the loch can be particularly exquisite, coming from the east and rising over the forest to illuminate this stunning promontory on the loch. This part of the loch is particularly picturesque in the Autumn with the colours and soft low light rising from the west later in the morning illuminating the various types of mixed forestry seen at this location... parking is easy at this location with several roadside spaces available. This side of the loch is well stocked with useful jetty's, water side trees and other foreground attractions for the photographer. Looking west at the same time of day will give you, on a good morning, a spectacular view of Ben Lomond in the distance over the end of the loch at Kinlochard. 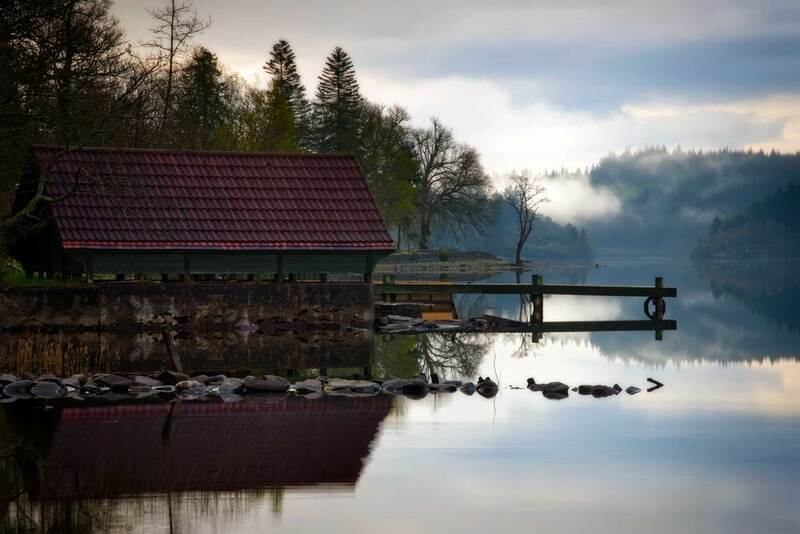 After the entrance to Forest Hills Resort, is ample parking and setting off point for a days climb on Ben Venue in the distance, as well as an attractive expanse of loch side with ample views up and down the loch. There is a Car park at the village hall situated as you turn left at the end of the Loch , remember to leave a donation in the honesty box for the upkeep of the field, in order that this facility remains useful. The field in front of the hall is for public use and the views that can be had from this field open up the whole length of the loch looking East. 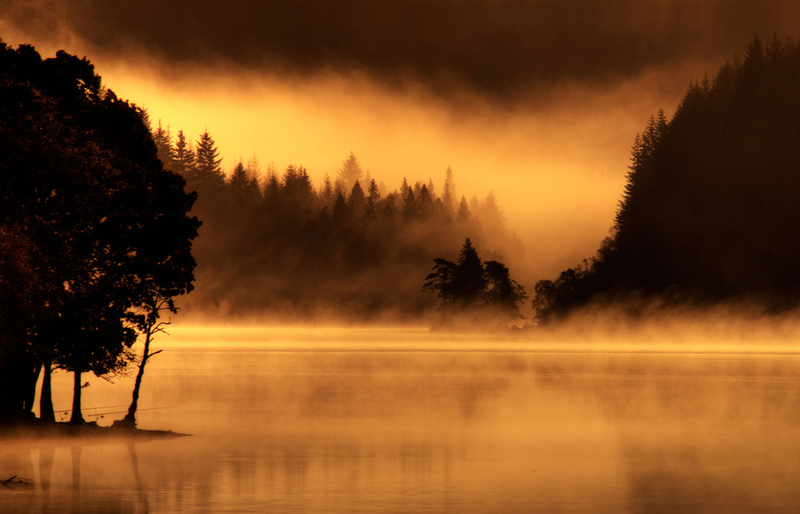 Perfect for the early morning sunrise, particularly when there is mist on the loch. Money (or a friend) to buy a welcome roll with bacon and egg and a cup of tea in the butchers in Aberfoyle after your trip to the loch. I hope this guide has been useful... If you have any questions or wish to comment, please contact me.